With the help of our efficient workforce, we are able to offer an array of wall and table clocks that can be easily matched with any style of interior. 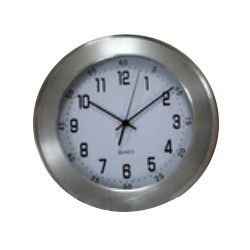 Our range of wall and table clocks includes desk clock, table clock, metal wall clock. 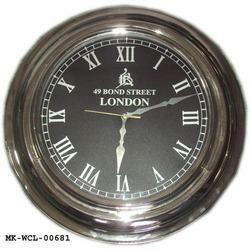 We are one of the leading manufacturers, suppliers and exporters of an exquisite range of Metal Designer Wall Clock. 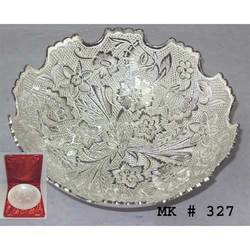 This elegantly crafted collection of products is widely popular for its drop-dead designs and attractive appearance. 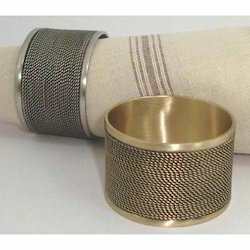 We offer an exclusive range of Pewter Napkin Rings in pewter finish & other fabulous finishes. 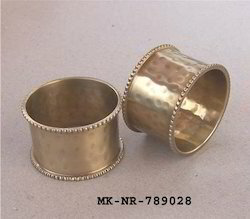 We are suppliers of brass napkin rings. 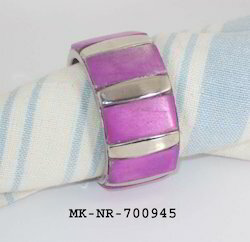 We are manufacturer, supplier & exporters of napkin ring and Hammered Silver Napkin Ring. 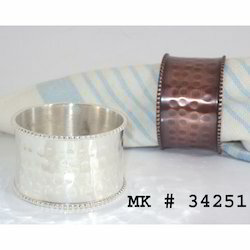 Clients can avail from us a wide range of Brass Hammered Napkin Ring. 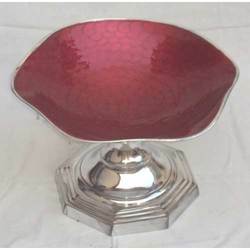 Decorative Fruits Bowl with electric colorful lighting stand, for use of buffet, hotel etc. 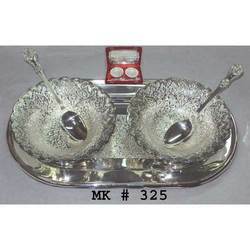 We offer an exclusive range of Silver Plated Diwali Gift bowls, trays, bowl sets, goblets, beer mugs, glasses & many more in fine velvet gift box. 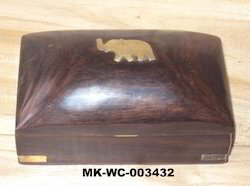 We also present an exclusive range of Jewelry Box. 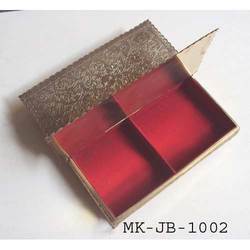 These Decorative Jewellery Boxes are compartmentalized into various sections in order to keep the jewelery safe and in an organized manner. 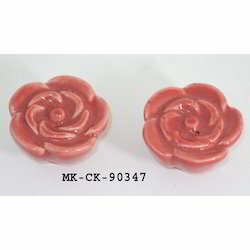 We manufacture these products using superior quality raw material and hi-tech machines. 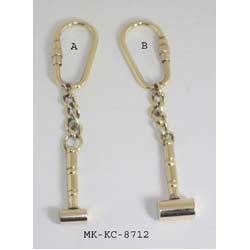 We offer a range of quality & impressive range of fashion jewelry & accessories like Brass Earrings, necklaces, finger rings etc. 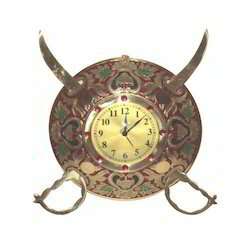 Brass Watch & Thermometer on Wooden Wall Hanging Plaque. 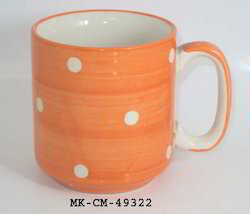 We offer a quality range of promotional Ceramic Mug. 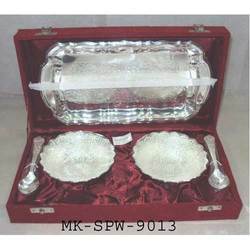 We offer a range of brass Bowl Set, cups, mugs, trays etc. 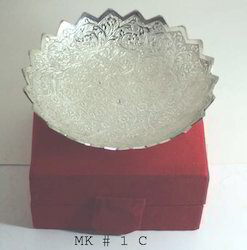 We offer a range of Incense Holders & other items. 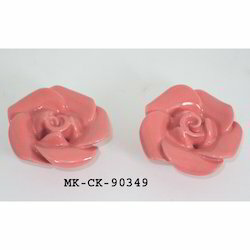 Special designers and stylists at M.K.International work constantly to design as per market trends and requirements. 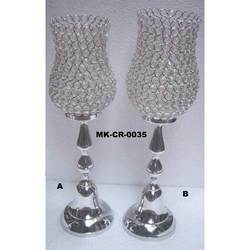 Continuous product improvement and quality enhancement in both design and cuts are the prime factors behind the company's success. 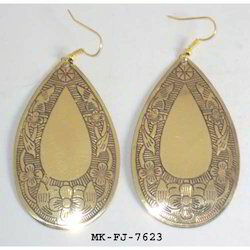 Embellished with intricate patterns and elegant designs, our wide collection of art simply knows no limits. 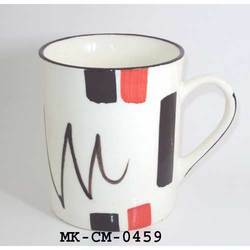 Our clientele comprises of individuals, wholesalers, stores and distributors in Europe, Australia and USA. 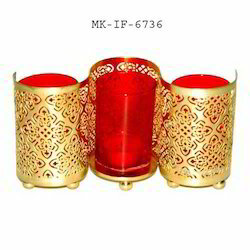 At M.K.International, we believe that creativity is inspired by life in all its magnificence, opulence, color, nature, moods, festivity and seasons. In our product range, we mix modern with classics and opulent with practicality. 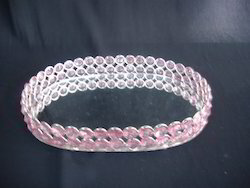 Our collection is extensive. 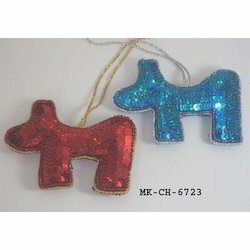 We offer a complete coordinated range of Christmas Decorations and Home Furnishings. We sincerely welcome customers from around the world to visit and ask questions about our business. Please do not hesitate to call or email us. 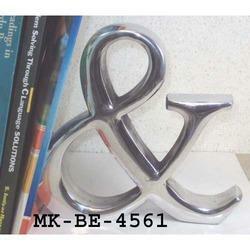 We wish that we would have a good business with you in the future. 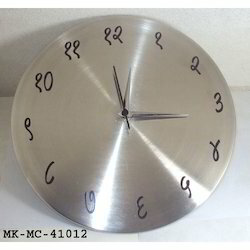 Looking for Wall & Table Clocks ?